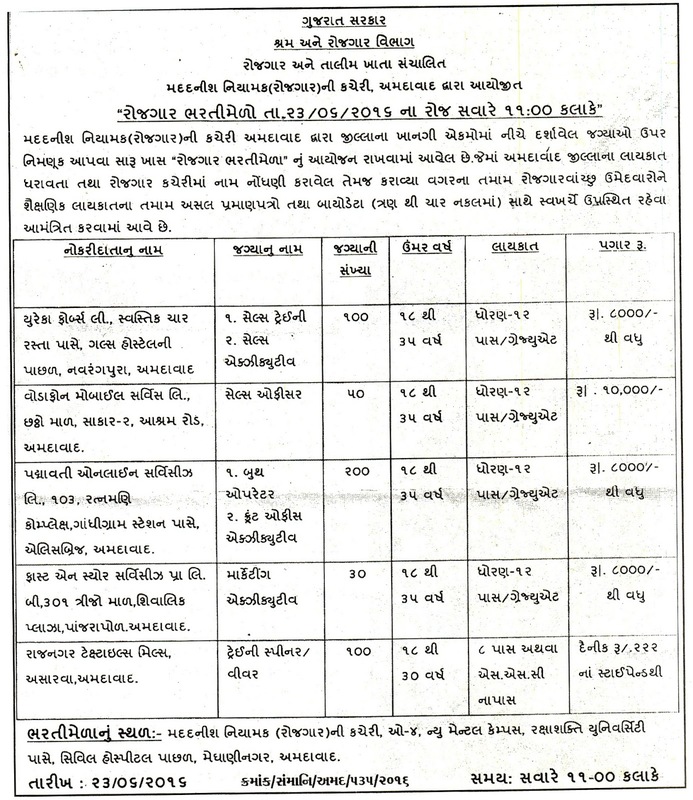 Directorate of Employment & Training, Ahmedabad has published a Advertisement for "Rojgar Bharti Melo". Other details like age limit, educational qualification, selection process, application fee and how to apply are given below. Walk-in-Interview : 23-06-2016 at 11:00 a.m.